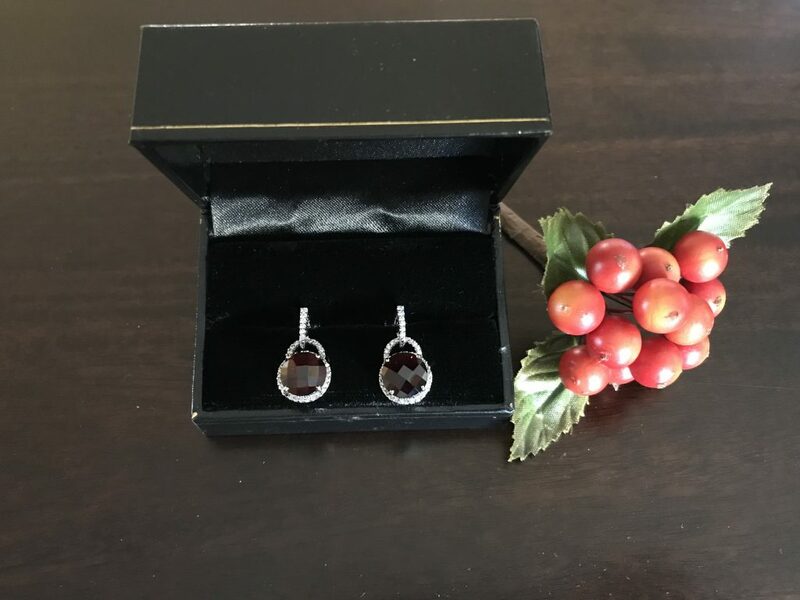 Lady’s 18k white gold Rhodolite garnet & diamond dangling earrings. The rhodolite garnet is round and checker board cut 9.87 Ctw and round diamonds 0.68Ctw. Stones are set in prong setting.